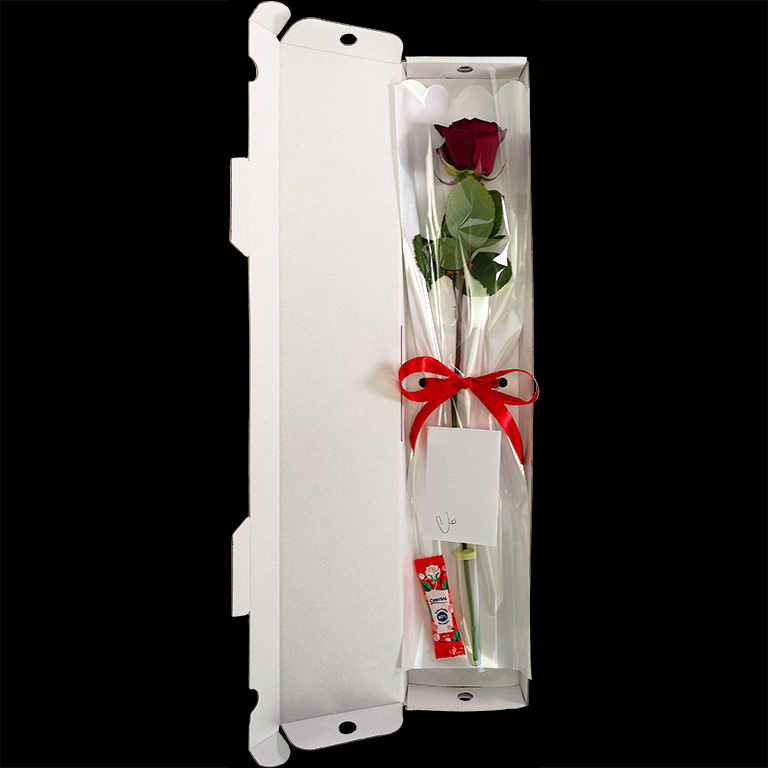 Fresh single roses packed in a letterbox friendly white gift box. 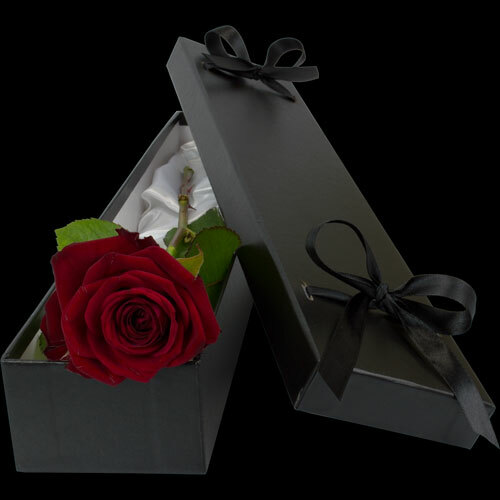 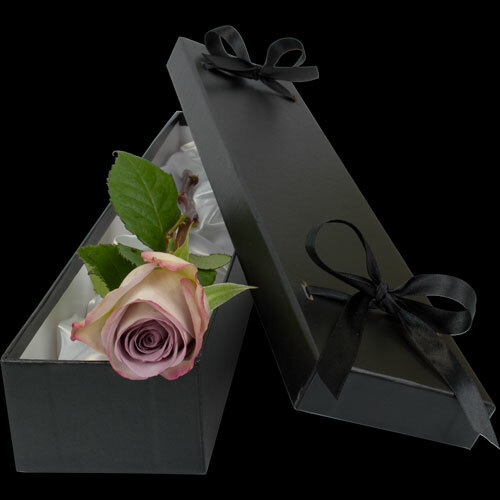 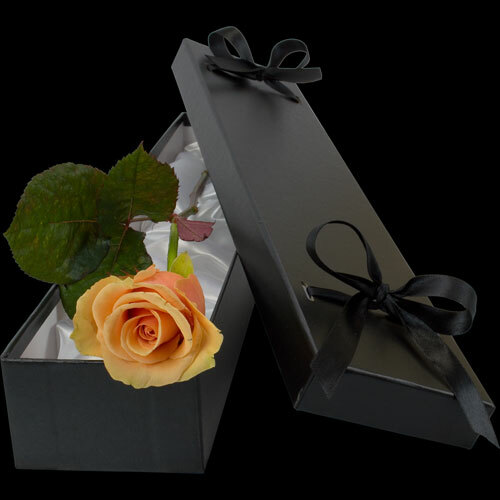 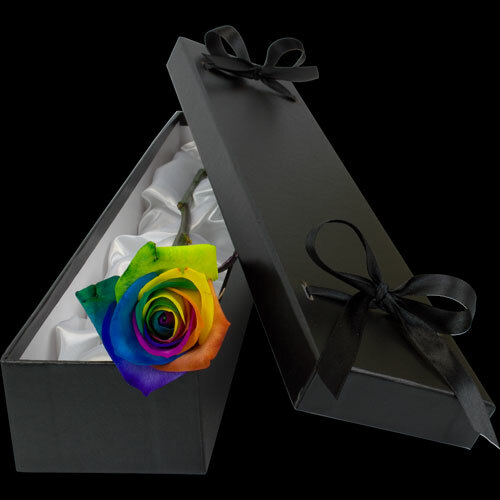 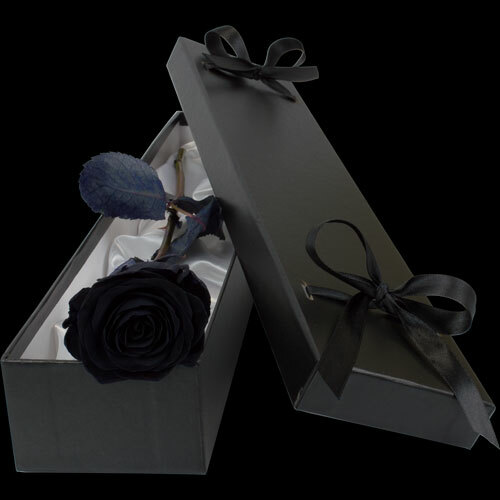 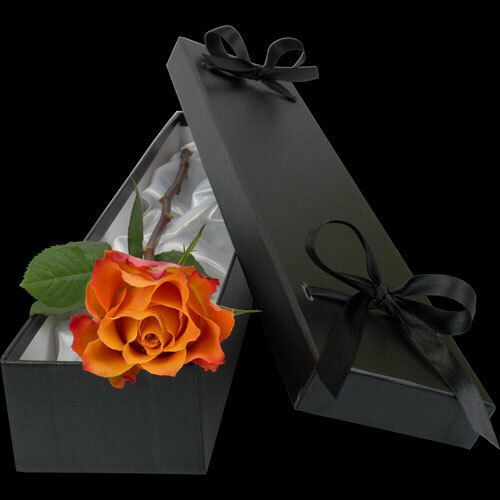 Fresh single roses presented in a luxury black gift box lined with silk. 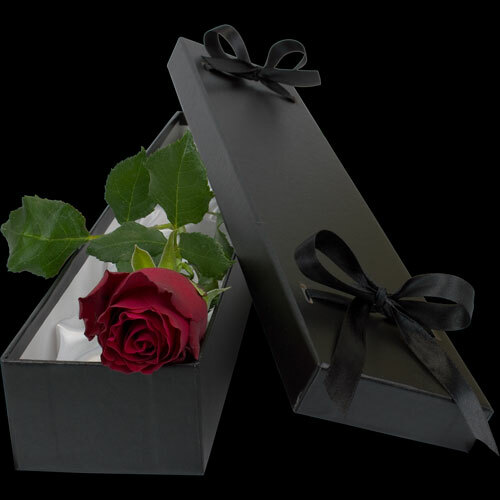 Not letterbox friendly. 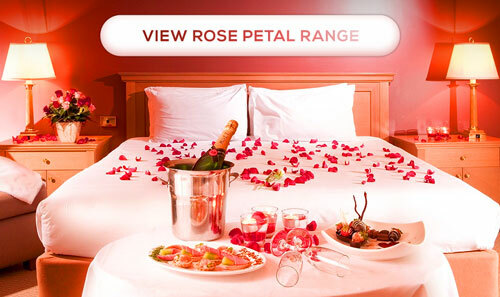 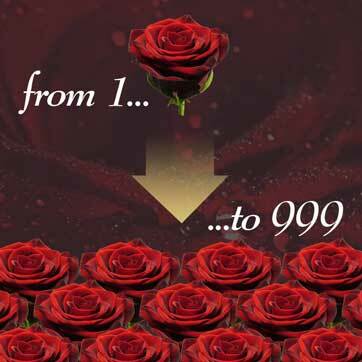 Casanova's can be applied to both our Letterbox Friendly and Luxury Roses. 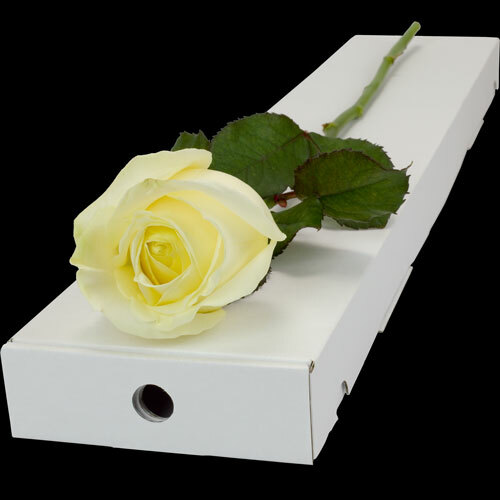 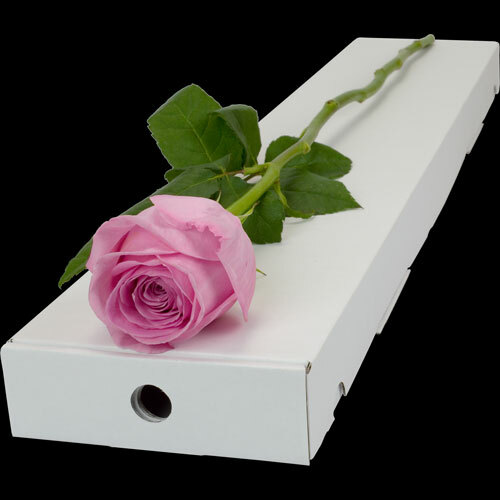 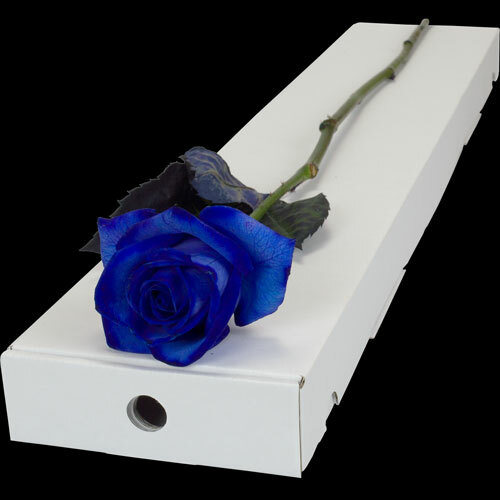 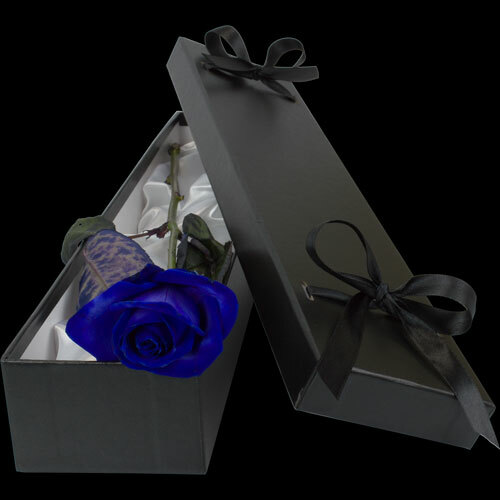 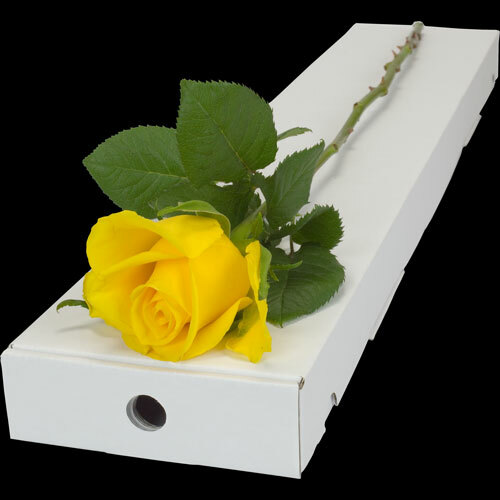 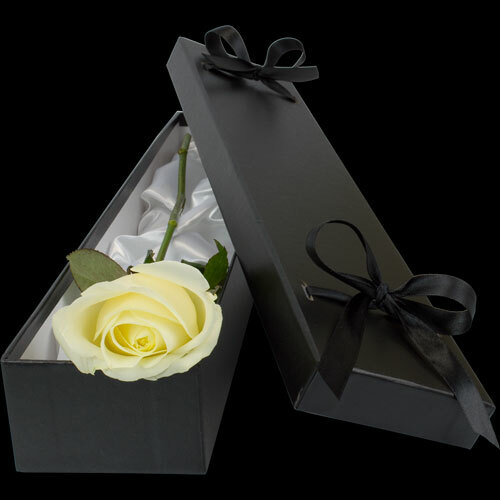 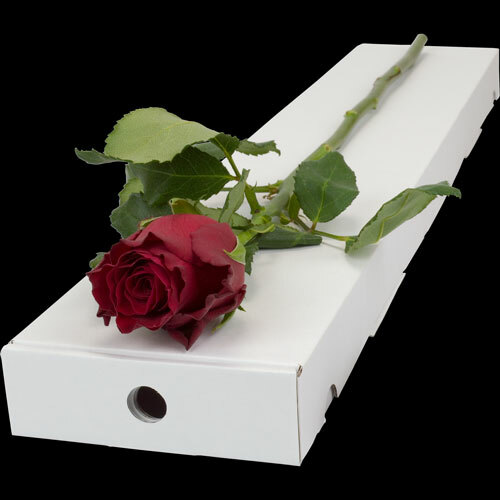 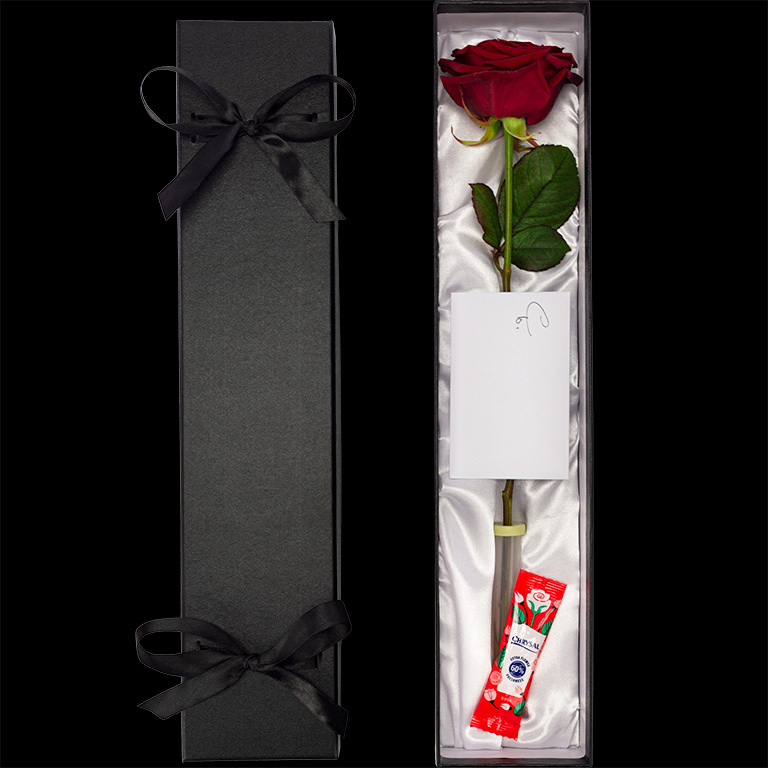 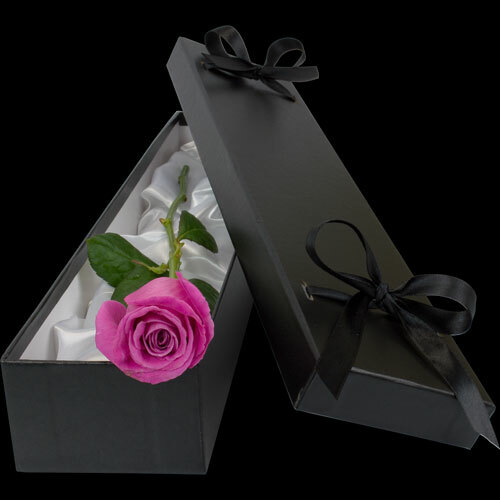 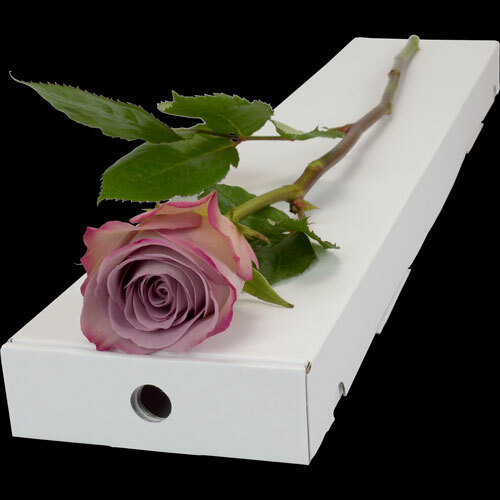 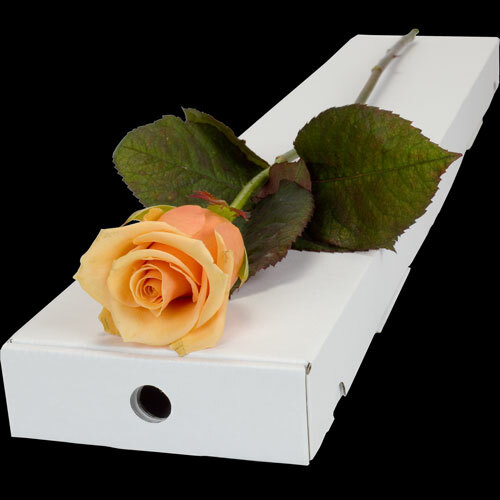 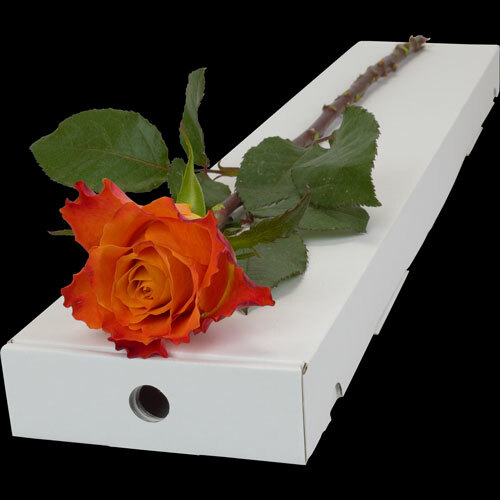 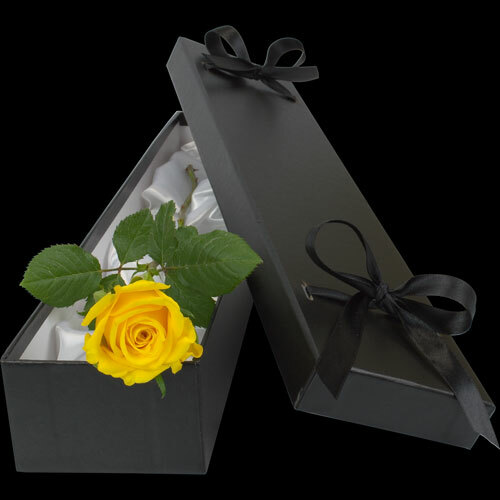 Luxury Roses arrive in an outer box allowing your recipient to enjoy the rose presentation free from any address labels etc. 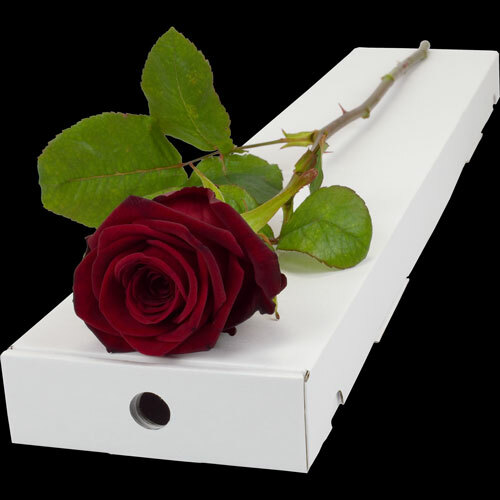 All roses are supplied with a sachet of rose food (not flower food) to be used on arrival to keep your rose fresher for longer. 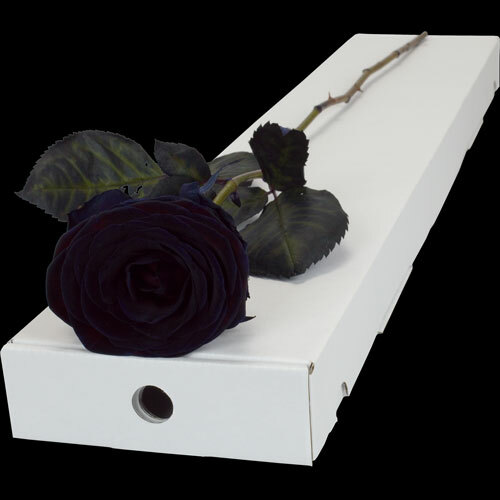 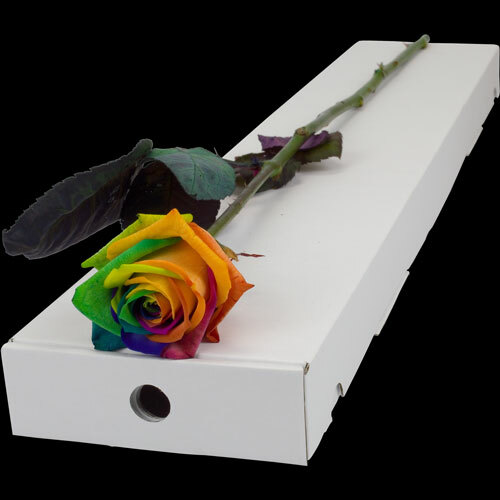 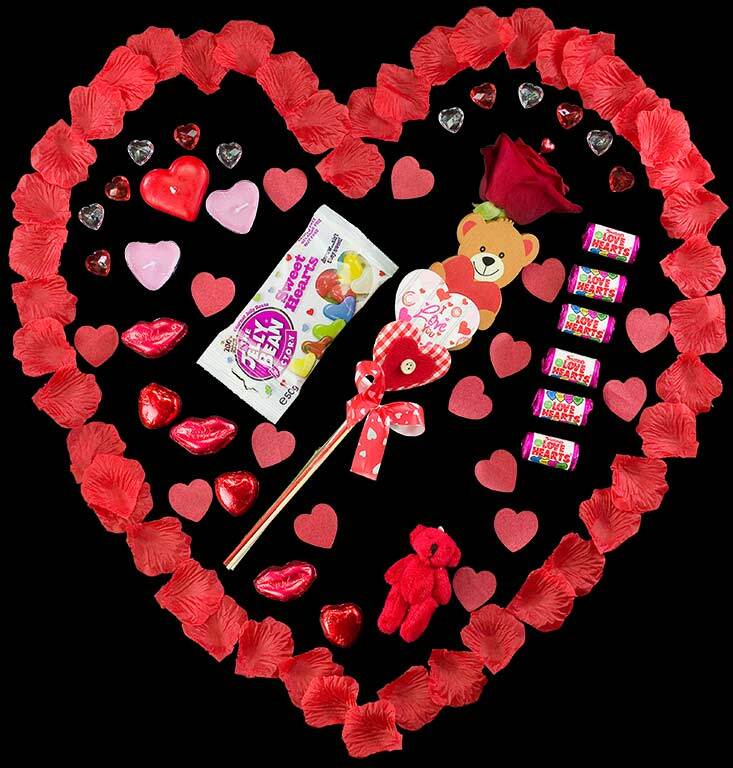 All roses come with their own water tube allowing them to drink throughout delivery. 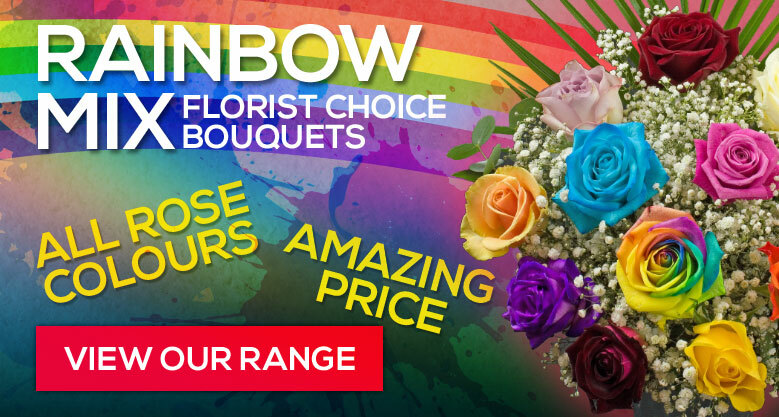 Click to view our Bouquet Rose Styles.